The Bachelor of Dance Education course offers a comprehensive, specialist program of practical and theoretical training, and is ideally suited to individuals looking to pursue a career as a high school dance teacher. Combining dance, health and teaching into one targeted degree, this course allows you to focus your training on dance teaching while covering a breadth of topics relevant to physical education and physical training. 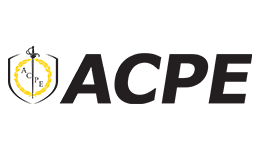 ACPE offers this degree on-campus study and the course content is delivered through a variety of methods including lectures, tutorials, seminars, performance workshops, dance classes and individual tuition. To ensure classroom readiness students undertake school-based practical experience throughout their degree. Applicants are also required to attend a dance audition. Upon successful completion of this course you will receive a nationally recognised, accredited Bachelor of Dance Education from the Australian College of Physical Education. This qualification will enable you to pursue dance teaching as a career in the secondary school system, as well as other educational contexts. Providing you with training in dance as an aspect of physical education, you will emerge from your studies ready to pursue employment in government and independent schools, private dance studios and community recreation centres.